Equip an airport baggage tug with a magnetic sweeper and pick up metal debris while you work. Why equip a baggage tug with a magnet? There is only one reason to equip an airport baggage tug with a magnet and that is to remove FOD (foreign object debris) that could cause damage to aircraft. It may be just one reason but it’s a big one because airport FOD can cause millions of dollars of damage to aircrafts. Attaching a magnetic sweeper to a baggage tug or other ground support vehicles is the best way to enhance FOD prevention and removal and enhance the reage of your other Airfield FOD Magnets. There is one general type of magnet that makes the most sense for baggage tugs, and that’s a hanging magnet. A hanging magnet makes the most sense because it’s economical and doesn’t interfere with Airport baggage tug operation. Tow behind magnets don’t make sense because baggage tugs must tow baggage carts. And while front mounted units are great, they increase the profile of the baggage tug and would have a negative effect on Airport baggage tug maneuverability in most circumstances. You are not going to be cleaning your magnet off constantly, so it’s important that when your magnet does pick up a nail or screw that the magnet secures the debris so that it won’t fall off if the magnet is suddenly shaken because of a bump. The last thing you want is for the debris to fall off again. Make sure your magnet has some feature like our “Wrap Around Feature”, it makes the debris holding capacity higher and you’ll find in practice that most of your debris ends up on the side of your magnet not the bottom of it. And that’s a good indication to you why we have this feature. We want to ensure our products meet your expectations therefore make sure you look at our “maximum lifting height” specification. We bench test all of our magnetic sweepers to determine their maximum lifting height using a two-and-a-half-inch standard nail. 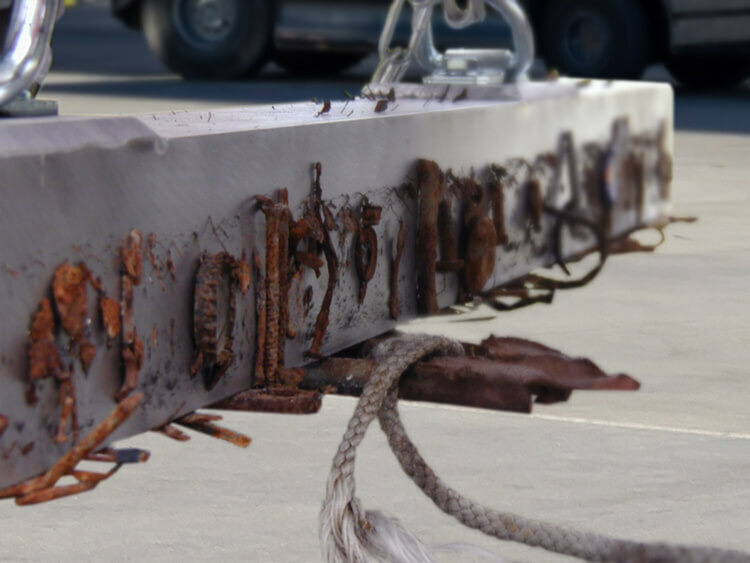 Everyone knows what a two-and-a-half-inch nail looks like which is why we use this standard measure of magnet strength and it will give you a good idea of magnet performance. Remember, these maximum lifting heights are in bench tests. As speed increases, magnets need to be lowered to pick up the same debris. Therefore, if you have faster moving baggage tugs, which most baggage tugs are as they travel around their work area, they need strong magnets to pick up FOD at those speeds. What do the staff of Bluestreak have to say about baggage tug magnets? Hanging just any magnet from a baggage tug doesn’t guarantee it will pick up FOD. It’s possible to hang a magnet from a baggage tug that only picks up debris if the tug is moving very slowly, or it might not pick up debris at all if it’s hung too high. Given the potential for extensive damage from FOD, it’s best to use a magnet that will pickup debris over the entire operating speed of the baggage tug. Hanging magnets are relatively inexpensive since they are essentially a big magnet bar only, therefore get one that will pickup debris over the entire operating speed range of your baggage tugs. The weight of the magnet is not a concern for a baggage tug therefore there’s no reason to chose a rare earth magnet from a weight perspective. And while, rare earth magnets pulling strength is higher than ceramic right on the magnets’ surface, you will still only get a large field and bigger pickup height from having a bigger magnet. 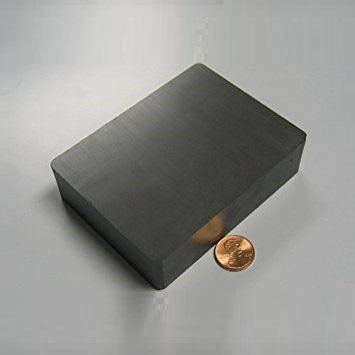 So if you used a smaller rare earth magnet you’d have to hang it very, very close to the ground compared to a larger ceramic magnet for it to have the same performance. 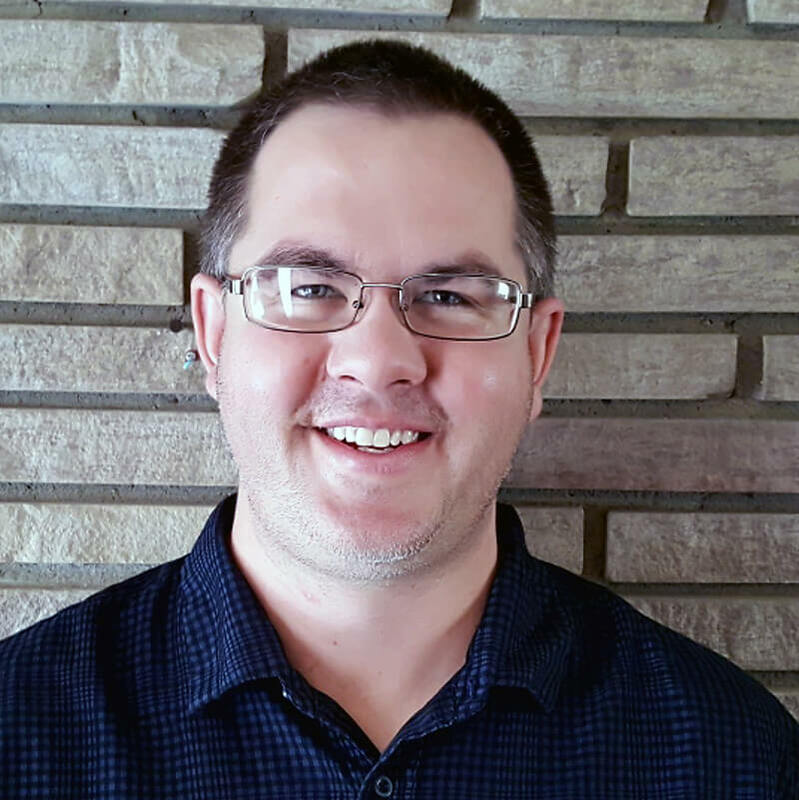 We have done performance tests over and over comparing ceramic to rare earth magnets and in most cases there is usually no good reason to go with rare earth magnets. You can usually will get better performance from a well designed ceramic magnet. 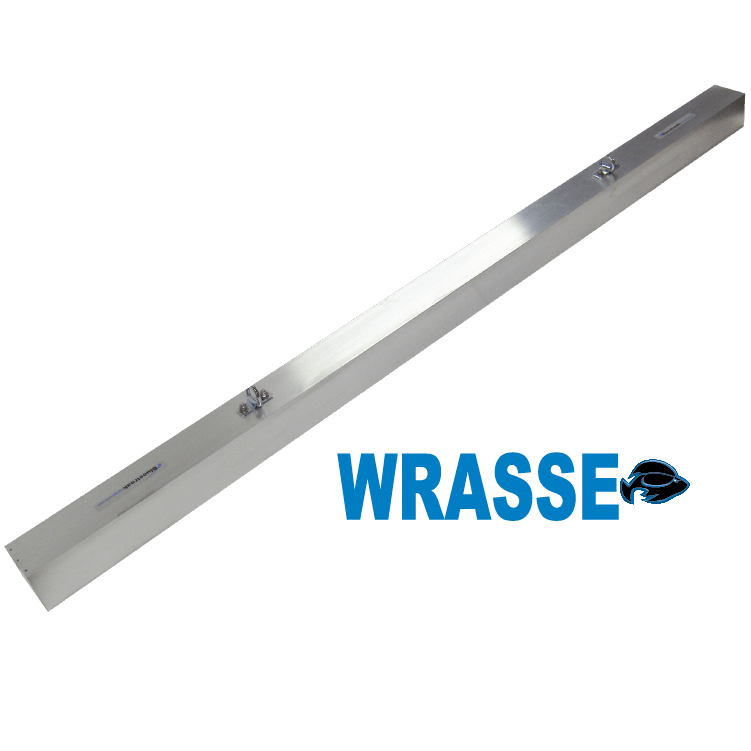 The Wrasse magnetic bar is the most economical solution to picking up airport FOD debris. Hang it with the two included mounting chains and you’re off and ready to go! 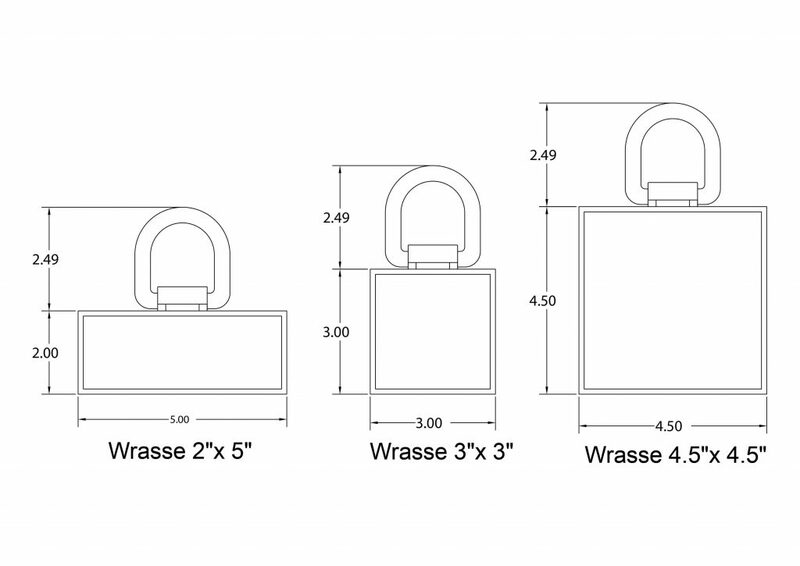 The Wrasse comes in three different magnet strengths and different widths to suit your budget and needs.